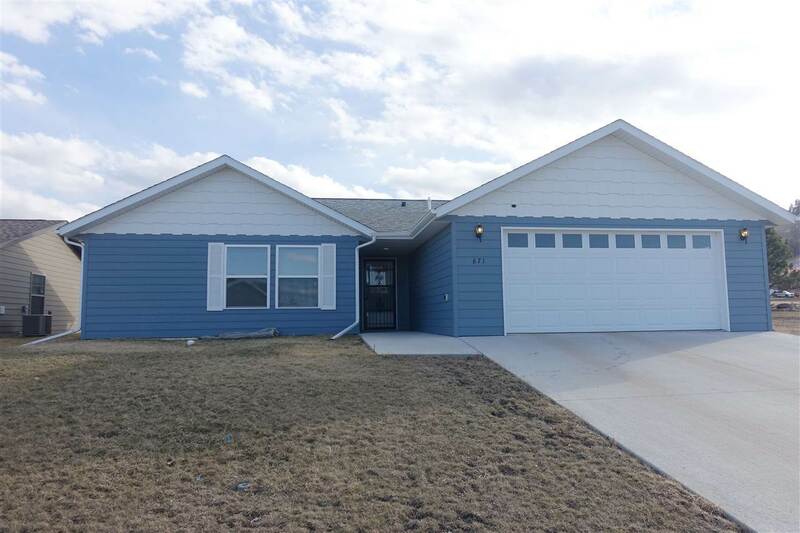 Call or Text Listing Agent - LuAnn Bice - The Real Estate Center of Spearfish - 605-660-4431 for more information. Beautiful one level living in the rapidly developing Twin Parks Subdivision can be yours today! This home features 3 bedroom, 2 baths, and a 2 car heated garage. You will love the vaulted ceilings, bright backyard views, open concept kitchen and living area, warm & inviting gas fireplace, hardwood floors, hickory cabinets, and large pantry. Schedule your showing today, you won&apos;t be disappointed! Buyer is responsible for verifying all information on this MLS document.